“Forever Good” means a lot of things, but those two words say a lot about our long history and heritage. 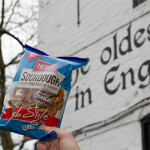 That history is the inspiration behind our new Pub Style Pretzels in a box. 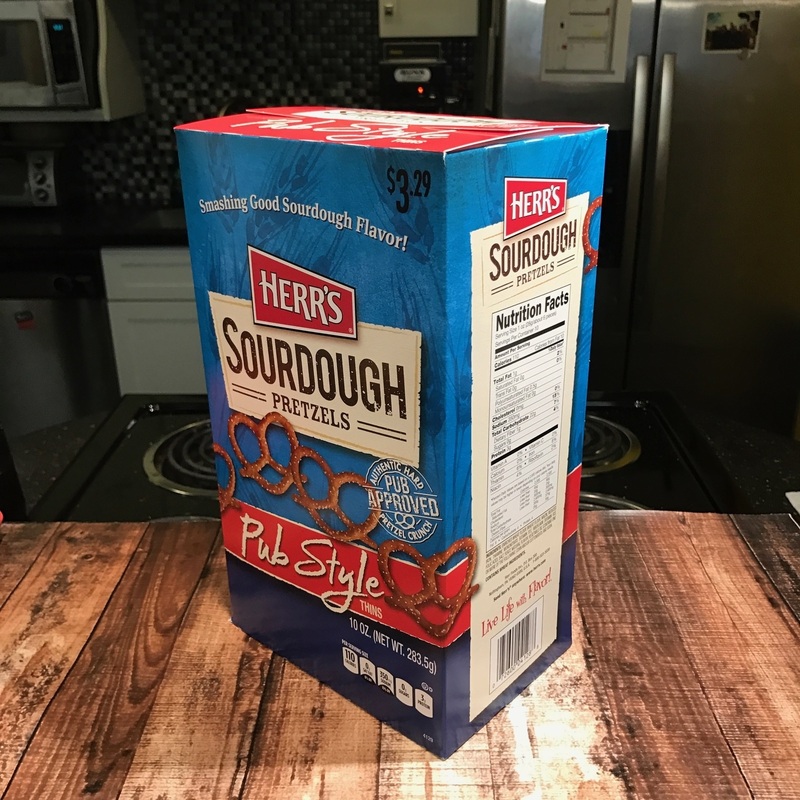 Some folks might not remember this, but Herr’s used to package its pretzels in a box like the one you see on the right. In many ways, the box is a throwback to simpler times. A time when ice cream cones cost 25 cents and “social media” meant gathering around the radio to catch a ballgame with your friends. So, why put pretzels in a box? 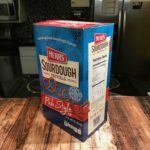 The boxes are easy to ship, easy to stack on store shelves, easy to store in your pantry at home, and easy to reseal in between pretzel cravings. The new package even includes some fun stuff on the back. 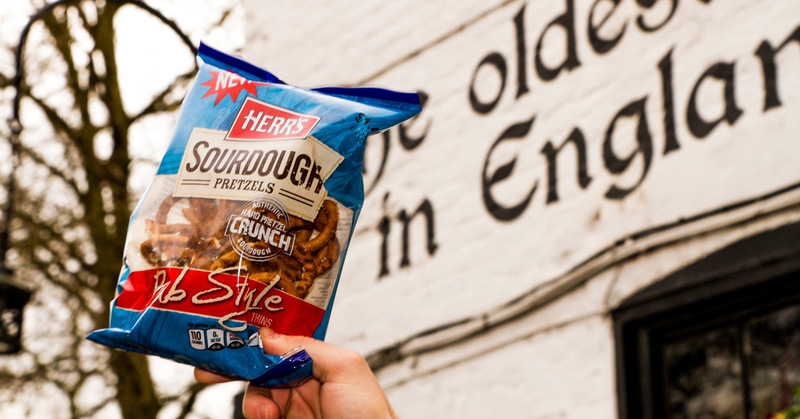 In this case, it’s a story about how our own Ed Herr travelled from Nottingham, PA, to Nottingham, UK, to taste-test our new Pub Style Pretzels with snack-savvy Brits in some of the world’s oldest pubs. So keep an eye out for our Pub Style Pretzels in a box at a store near you. 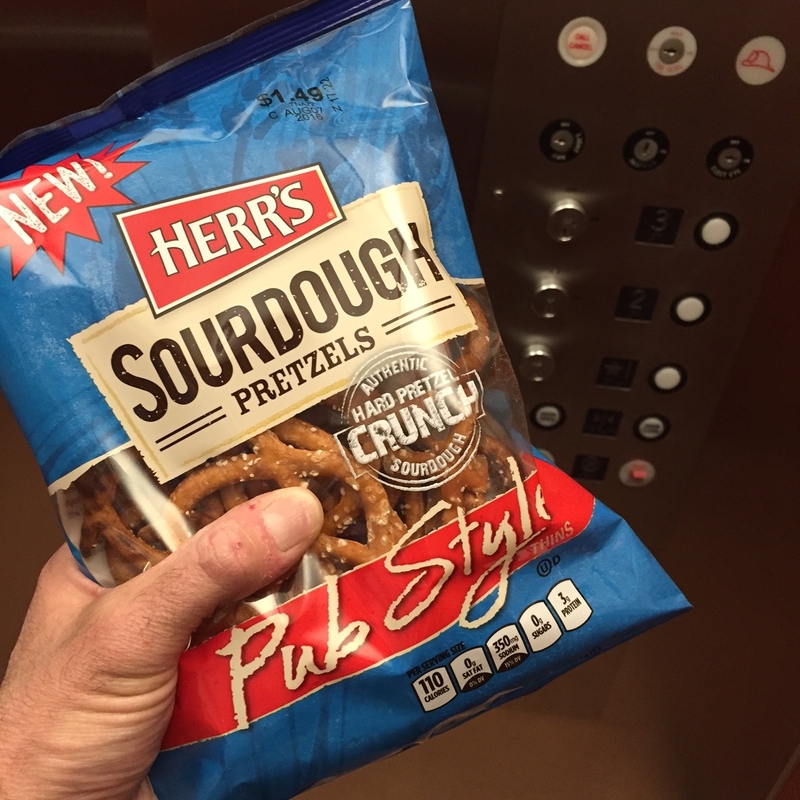 And don’t worry — if you prefer your pretzels in a bag, you can still get those! When we developed our new Pub Style Sourdough Pretzels, we knew we’d have to do whatever it took to earn that “pub style” name. 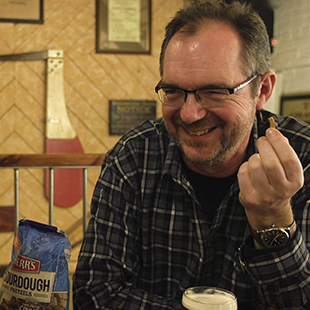 So we flew 5,000 miles from Nottingham, PA, to Nottingham, UK — home of some of the world’s oldest and most authentic pubs — to taste-test the pretzel with snack-savvy Brits. The result? A jolly good thumbs up from our friends across the Atlantic. Then we drove 56 miles to Philadelphia to see what folks in the pretzel capital of America think about our newest thin sourdough. They already love us in Philly, but our Pub Style Pretzels got pub approval there, too. In both locations, we met friends we won’t soon forget — police officers, teachers, bartenders, truck drivers, retired coal miners. We shared our pretzels with all of them, and they shared their honest opinions with us. And now the journey is over. This may be our last blog entry (for now, at least), but we’ve still got plenty of great videos from our UK trip. We’ll be sharing those throughout the year on our Facebook Page, so be sure to follow us for an occasional trip down sourdough memory lane. We’ll leave you with one last video montage, crammed full of highlights and hijinks from our global pretzel adventures. Whether you grab a pint of ale to sip with your bowl of Pub Style Pretzels is up to you. Either way, cheers, and thanks for coming along for the ride! Our new Pub Pretzel might be the first thin, aged sourdough pretzel on the market, but is it pub approved? 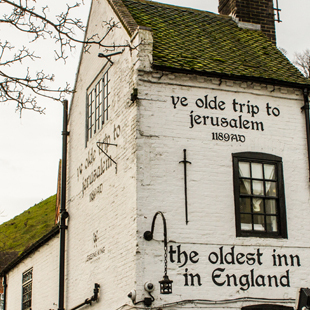 To get the answer, we flew from Nottingham, PA, to Nottingham, UK, to get the thoughts of more than a few outspoken Brits who know a thing or two about pubs — and pub grub. Stay tuned here and on our Facebook Page for tales from our trip. While on Facebook, leave a comment to enter the Splendid Good Pub Pretzel Sweeps for a chance to win a year’s supply of Herr’s Pub Pretzels! 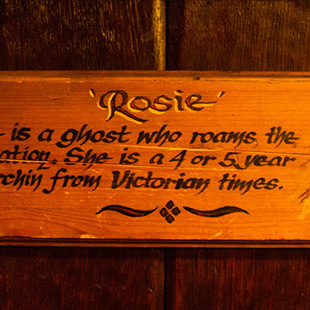 When Ed visited the UK, he heard a lot of stories — including this one about a ghost named Rosie that haunts one of the pubs we visited. Our Pub Style Pretzels are so crunchy they might be…dangerous? That’s one of the lessons Ed Herr learned during his trip to the UK. Did you know that Pennsylvania is responsible for the production of 80 percent of the nation’s pretzels? And, like we mentioned the other day, Philadelphia is the pretzel-eating capital of the world, with the average Philadelphian chowing down on 12 pounds of pretzels per year (compared to two pounds per year for other folks). They know their pretzels, that’s for sure. Philadelphians also have some interesting ways to describe our newest Pub Style Pretzels. We found that out during Ed Herr’s visit to a Philly pub, where he was on a mission to get pub approval for our newest sourdough creation. 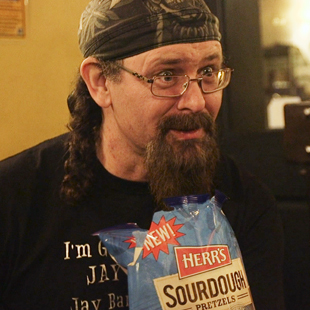 One guy called it “the great unsoft pretzel” (video here). We like the sound of that. Another Philly snacker (below), when asked why the City of Brotherly Love likes pretzels so much, suggested they were a safe object to throw at people at ball games. For the record, we don’t recommend using our Pub Style Pretzels as projectiles. They’re far too tasty, and that’s far too wasteful. Unless you’re throwing them at a hungry friend. In which case, let ‘er rip! Your mother told you not to talk with your mouth full, a rule our polite friends in the UK know all too well. Our own Ed Herr learned that firsthand. We’re not 100 percent sure, but we think this response is a good thing. 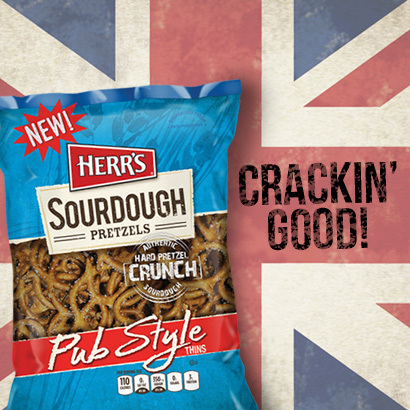 We’ve shown you what Brits think of our new Pub Style Pretzels (long story short, they thought the new snack was “the bee’s knees”). But our search for authentication didn’t end there. We decided to take our sourdough creation to Philadelphia to get unfiltered opinions from folks who aren’t afraid to tell it like it is. Why Philly? Besides being practically in our backyard, Philadelphia is the pretzel-eating capital of the world. Nationwide, Americans eat about two pounds of pretzels per year. But Philadelphians? They put those salty snacks away at the rate of 12 pounds per year. 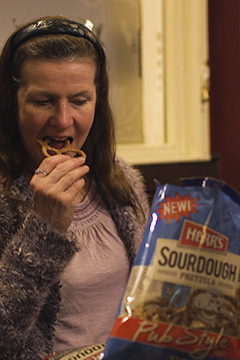 It was time to send Ed Herr to the City of Brotherly Love to find out if our Pub Style Pretzels could pass the final test. Below is a look at what one of our Philly friends had to say about our Pub Style Pretzels in between pints at the legendary Fado Irish Pub. “Gobsmacked” was just one of the many new words we learned during E’s trip to the UK in search of pub approval for our Pub Style Pretzels. 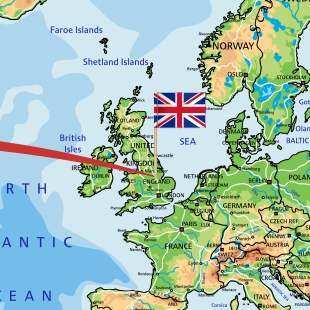 We’ve said it before, but we met so many fun and interesting people during our trip to the UK. Best friends who were retired miners, ladies who turned our pretzels into a pub game, and a man who turned our pretzels into a high-class fashion accessory. And we met “The Sourdough Girls.” That’s them in the video below, offering up an impromptu song-and-dance ode to our Pub Style Pretzels. They make plenty of other appearances in our videos from the UK, but this one sums up their youthful energy perfectly. Was it the pretzels that put them in such a good mood? We like to think so! British accents are probably the best ones in the world, don’t you think? You can say anything in a British accent, and it just sounds…better. 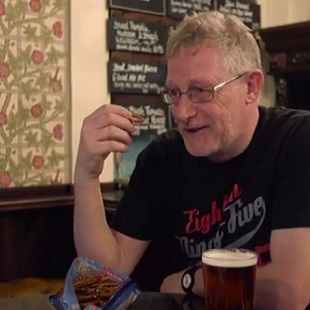 But those accents can also be a little hard to understand sometimes — like the one in the video below, which features a candid conversation between Ed Herr and a gentlemen we met during our Pub Style Pretzels visit to the UK. Is he saying, “You’re a dog”? It certainly sounds like it, and Ed thinks so, too. As Ed soon finds out, he’s actually saying, “You’re a duck,” which is a common phrase used to describe people from Nottingham and the surrounding region. “Duck” is often used to refer to men, while “ducky” is sometimes used for women. 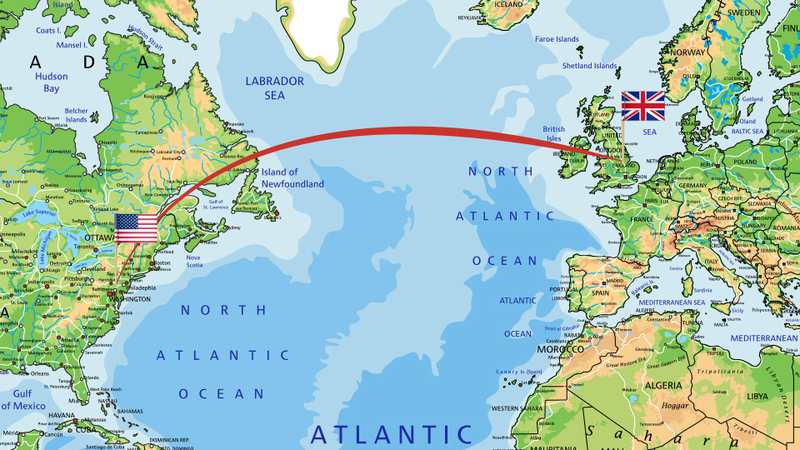 If you’re ever in the area (and you should definitely visit), keep your ears open for it, and don’t be afraid to offer up an “Ay up me duck” of your own to your newfound British friends. 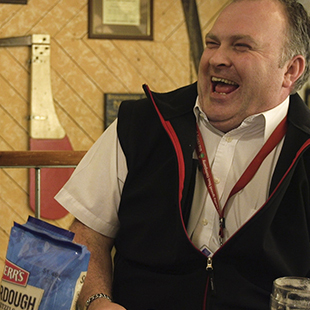 When Ed Herr visited the UK earlier this year, he met a man with an unusual laugh. The man himself described the laugh as sounding like a chipmunk. 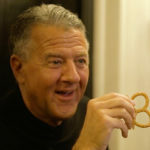 Here’s a look at one man who taught us a new word (“more-ish”) and a new way to eat Pub Pretzels. A few weeks ago, we introduced you to a woman who compared the shape of our Pub Style Pretzels to a “pretty ribbon.” In that blog entry, we also mentioned a gentleman who turned our pretzels into a monocle and did his best impression of a sophisticated English gent. Also, don’t forget to leave a comment (or two) on our Pub Style Pretzels Facebook posts for a chance to win dinner for two at a Philly pub and a year’s supply of pretzels. It’s a prize that even that rich, old Monopoly guy would be envious of. 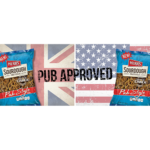 When we went to the UK seeking the pub approval of our new Pub Style Pretzels, we were pretty sure we’d get that approval from pub-savvy Brits (and we did). We were also pretty sure we’d learn some new words and phrases (which we did). But for all of the differences in how Americans and our friends across the Atlantic in Britain talk, we’ve actually got a lot in common. For instance, we both really like pretzels. Oh sure, there are some subtle differences, like these examples of how an American might enjoy our Pub Style Pretzels versus how a Brit might enjoy them. IN BRITAIN: While watching a football match on the telly with your mates. IN AMERICA: While watching a soccer game on TV with your friends. 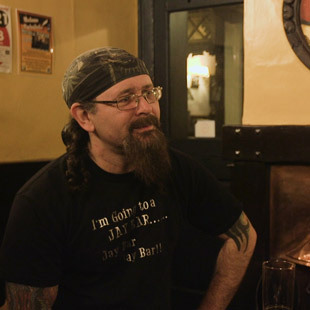 IN BRITAIN: While drinking a cellar-temperature beer in a pub. IN AMERICA: While drinking a cold beer in a bar. IN BRITAIN: While riding in a lift. IN AMERICA: While riding in an elevator. 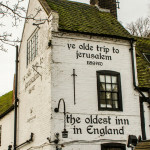 One of the pubs Ed visited, Ye Old Trip to Jerusalem, claims to be England’s oldest. A claim highly disputed by at least two other Nottingham pubs. 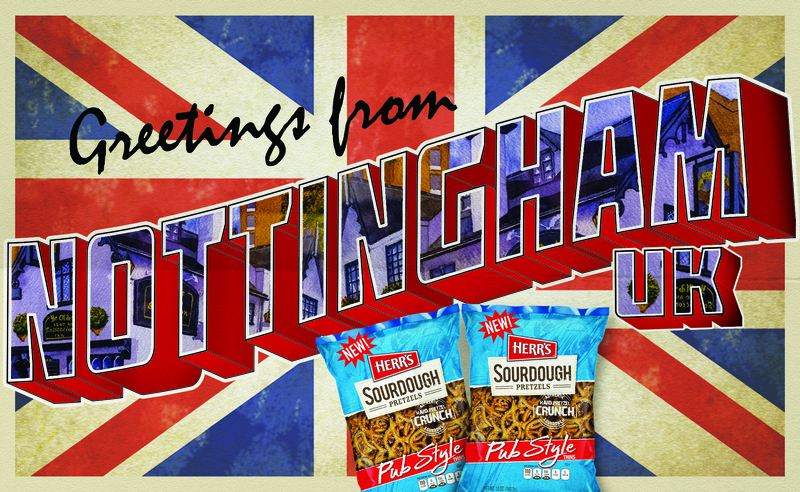 We traveled 3,517 miles from Nottingham, PA to Nottingham, UK with 10 cases of pretzels and one question: is our pub style pretzel worthy of its name? 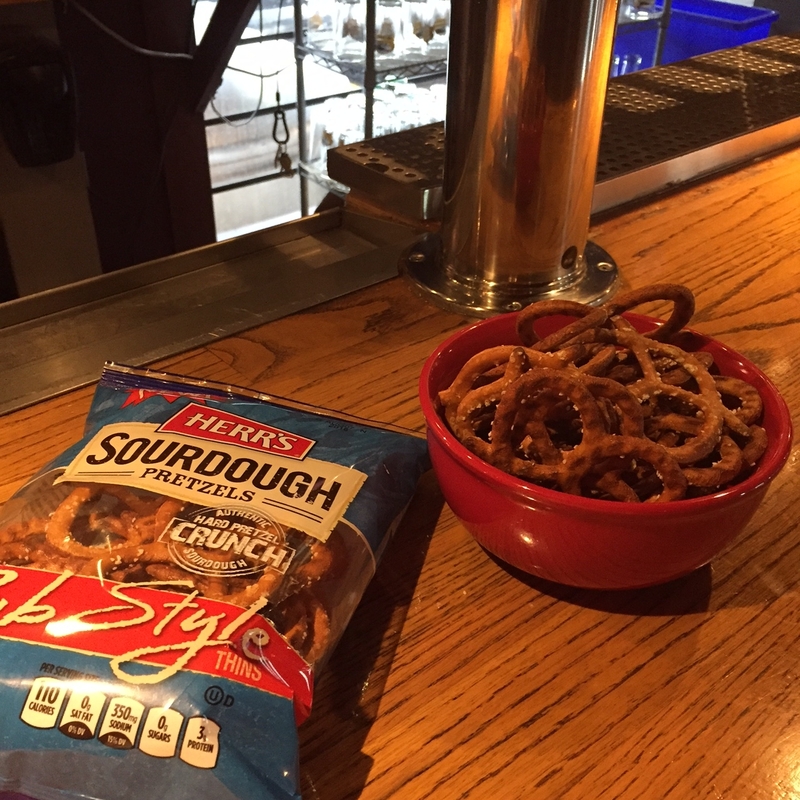 Think our Pub Style Pretzels are just for snacking? Think again. These crafty British ladies turned them into a tasty pub game. 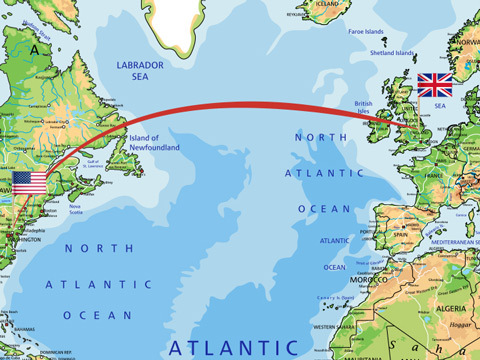 We knew when we touched down in London — en route for the ultimate pub (pretzel) crawl in Nottingham, UK — that we’d likely hear a lot of new words and phrases whose meanings we weren’t quite sure of. “Gobsmacked,” “crackin’ good,” “aces” and “Bob’s your uncle” were all uttered more than once. We were stumped at first, but soon figured out the meaning of each. Here’s a look at a some of the most popular British words and phrases we learned during our trip to Nottingham, along with some examples of how to use them. 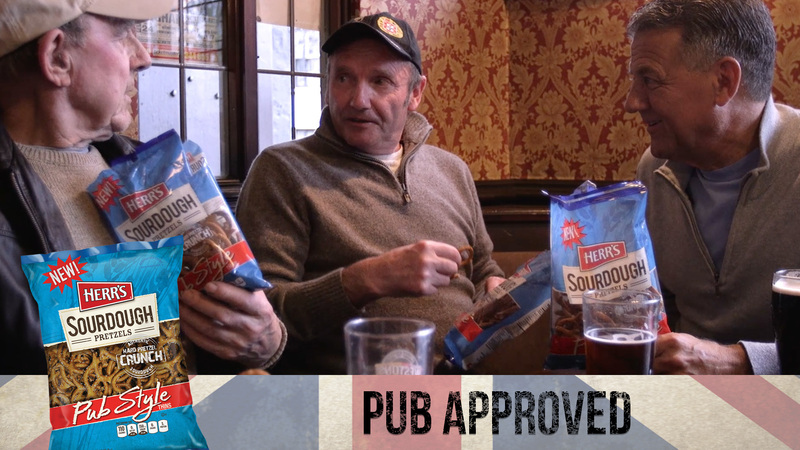 Are our new Pub Style Pretzels deserving of England’s pub approval? This bloke will have to take the bag’s word for it. How’s Ed Herr’s British accent? Some might say it’s satisfying. 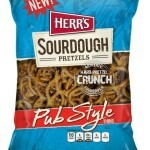 Blog Entry THINK OUR PUB STYLE PRETZELS ARE JUST FOR SNACKING? THINK AGAIN. THINK OUR PUB STYLE PRETZELS ARE JUST FOR SNACKING? THINK AGAIN. While we were in the UK, we met the two lively British lasses in the video below who turned our Pub Style Pretzels into a tasty pub game. It’s sort of like “Barrel of Monkeys,” but the monkeys are pretzels … and you can eat them. Go ahead and try their game for yourself. It’s not as easy as it looks, but with a few friends, a few pints and a few bowls of pretzels, it’s a jolly good way to pass the time. We also met the retired coal miners you see in the video below. We bumped into the pair while the lifelong friends were enjoying a few drinks. It’s a ritual the gentlemen know well, as they’ve been visiting the same pub nearly every day for the past 50 years. That’s half a century of beers and stories. 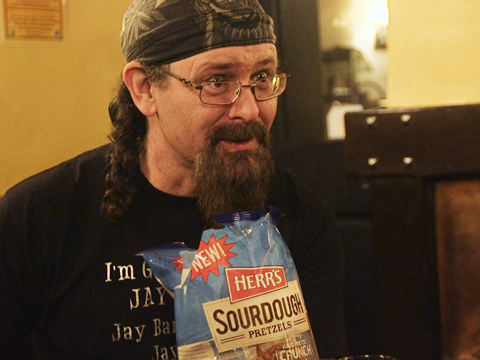 The men shared some of those stories with us, and we shared some of our Pub Style Pretzels with them. 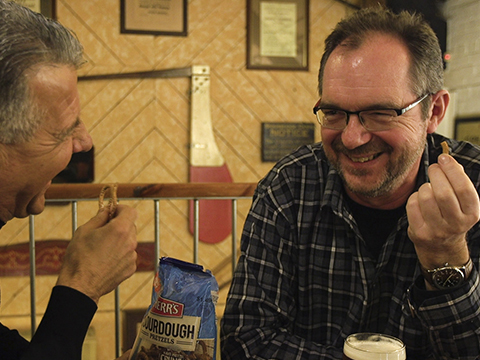 Of all the people we met in the UK, these two hard-working Brits — with over a century of combined experience in this pub alone — know pub snacks better than anyone. So, did they think our new thin sourdough pretzels were worthy of the Pub Style name? Check out the video below to find out. 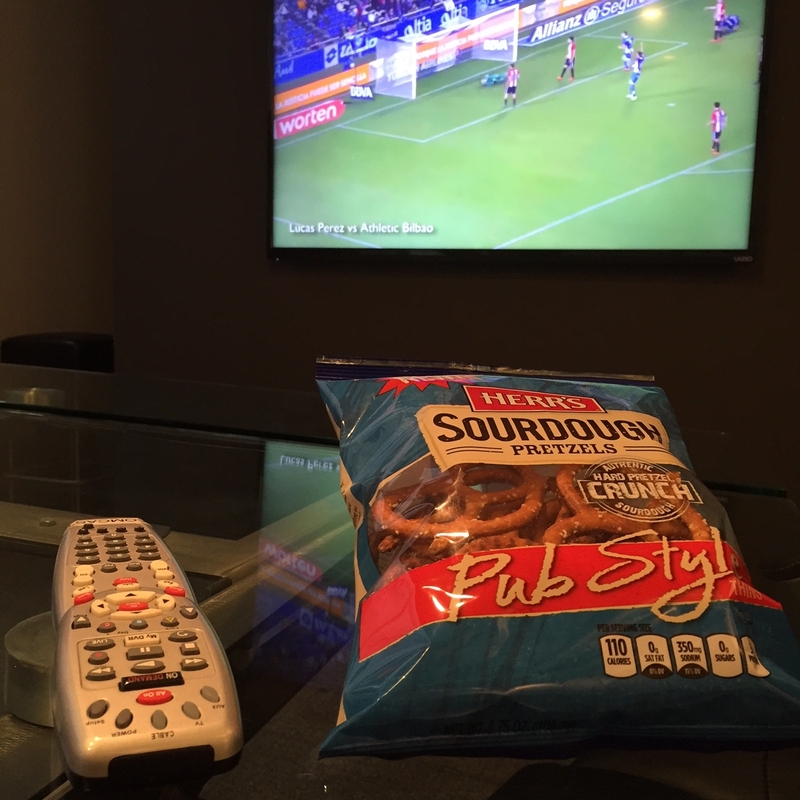 Blog Entry PUB STYLE PRETZELS: THE WORLD’S FIRST WEARABLE SNACK? 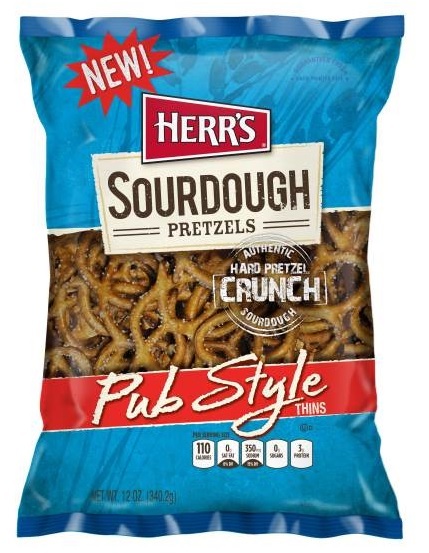 PUB STYLE PRETZELS: THE WORLD’S FIRST WEARABLE SNACK? 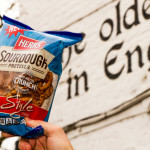 The British are known for their dapper dress, so it was no surprise that when we asked this woman for her thoughts on our new Pub Style Pretzels, she found a way to turn the sourdough snack into a crunchy fashion accessory. She wasn’t the only one, either. A young man we call “the Monopoly guy” turned our pretzels into a monocle and did his best impression of a sophisticated English gent. We’ll share that video with you another day. For now, enjoy the clip above from our trip to the UK ― and, if you want to want to wear one of our Pub Style Pretzels on your head “like a pretty ribbon,” we certainly won’t stop you. 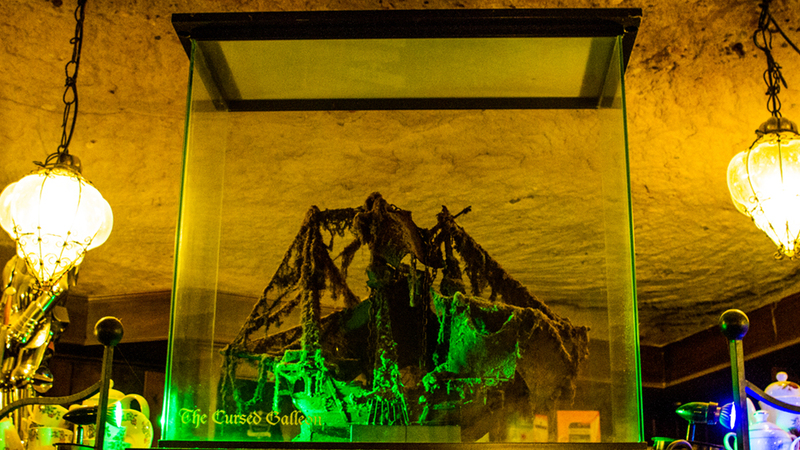 The last few people who tried to clean The Cursed Galleon in Ye Olde Trip to Jerusalem died mysteriously. Wisely, nobody has tried again for decades. What do pub-savvy Brits have to say about the new Pub Style Pretzels? More importantly, how are your Uncle Bob and Aunt Fanny doing these days? Blog Entry WHAT IS SOURDOUGH, AND WHY DID WE MAKE A THIN SOURDOUGH PRETZEL? WHAT IS SOURDOUGH, AND WHY DID WE MAKE A THIN SOURDOUGH PRETZEL? What do you think of the sourdough in our new Pub Style Pretzels? 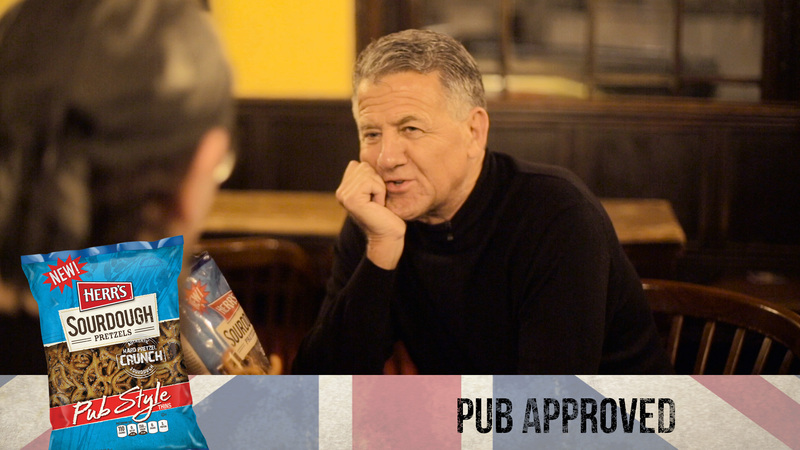 It’s a simple question that we asked many times during our trip to the UK, where we sought the stamp of approval from pub-savvy Brits. As you’ll see in the video above, almost everyone loved the sourdough, even if they weren’t 100 percent sure what it really was. So, what exactly is sourdough, and why did we decide to make one of the first thin, sourdough pretzels? Grab a pint (and some pretzels), because we’ve got the answer. Typically brought to life in bread and pretzels, sourdough is made from the natural occurring yeast and bacteria in flour. Most recipes use three ingredients: a sourdough starter, salt and flour. It’s a simple formula that shows off Mother Nature’s finest work. The result is a pretzel that has a uniquely sourdough taste, with a slight tanginess that sets the pretzel apart from other varieties. WHY DID WE MAKE A THIN SOURDOUGH PRETZEL? Almost all sourdough pretzels are the old-fashioned variety — big, thick, crunchy pretzels that are often broken into pieces and eaten with some mustard or cheese dip. They’re fantastic, no doubt about it, but we know that pretzel lovers also like smaller, bite-sized pretzels, too, so we took the best parts of the sourdough pretzel — the crunch and the sourdough taste — and put them in a small, thin pretzel shape. The result is our new Pub Style Pretzels. Give them a try for yourself, and let us know what you think. Whether you dip them in spicy mustard or cheese just like their bigger sourdough cousin is up to you. Blog Entry IS THE QUEEN A FAN OF THIN SOURDOUGH PRETZELS? IS THE QUEEN A FAN OF THIN SOURDOUGH PRETZELS? 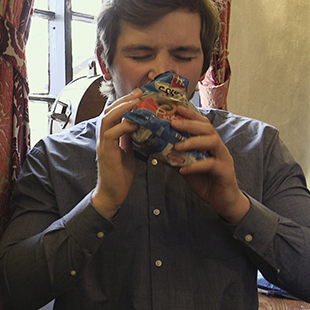 When we took our new Pub Style Pretzels to the UK to seek the pub approval of snack-savvy Brits, we had plenty of questions planned for our taste testers. We asked about the sourdough, we asked about the crunch, and we even asked about the pub-style name. But one question we were itching to ask — and did on multiple occasions — was our British friends’ opinions about what the queen herself would think of our pretzels. Of course, we have no way of actually knowing what Queen Elizabeth (or “Liz”) would really think of our crunchy sourdough snacks, but we’d like to think that she’d approve. She might even share a few with her beloved Corgis. 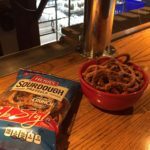 Where do you go to find out if your new Sourdough Pub Style Pretzels are truly worthy of their pub-style name? 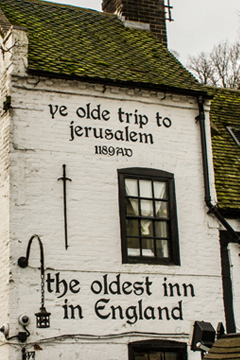 You go to some of the oldest pubs in the world and talk to people who know a thing or two about good pub grub. That’s exactly what we at Herr’s did when we traveled from Nottingham, PA, to Nottingham, UK, with more than 400 bags of our Pub Pretzels along for the ride. So, what did we learn from our visit to Nottingham? We learned that our pretzels can be used to create a tasty pub game. We learned that Bob’s your uncle, and Fanny is your long-lost aunt. We learned that Brits really do like their beer a little on the warm side. 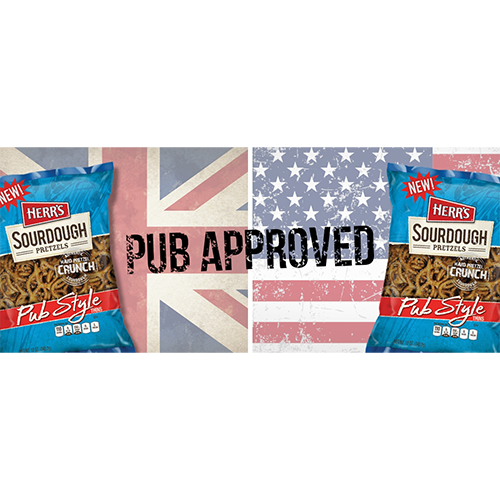 We learned that the queen of England might think our Pub Style Pretzels are the cat’s whiskers. We also learned that our own Ed Herr can do a pretty impressive British accent. 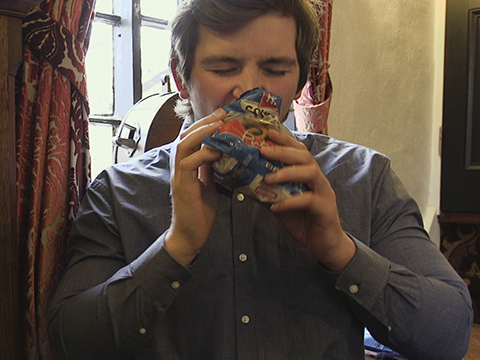 We’ll share videos of some of these lessons with you over the next few months, starting with Ed’s “satisfying” impersonation below. Speaking of satisfying, don’t forget to follow us on Facebook and leave a comment on our Pub Style Pretzel posts for a chance to win a year’s supply of Pub Style Pretzels. 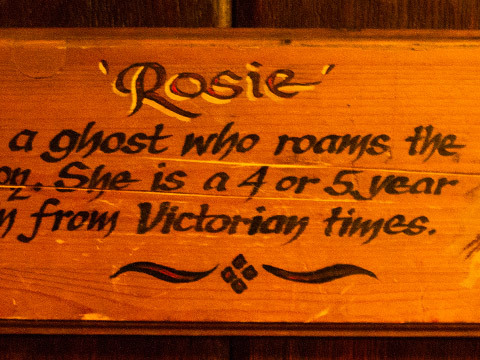 Under Ye Olde Salutation Inn is a peace offering of dolls to Rosie. 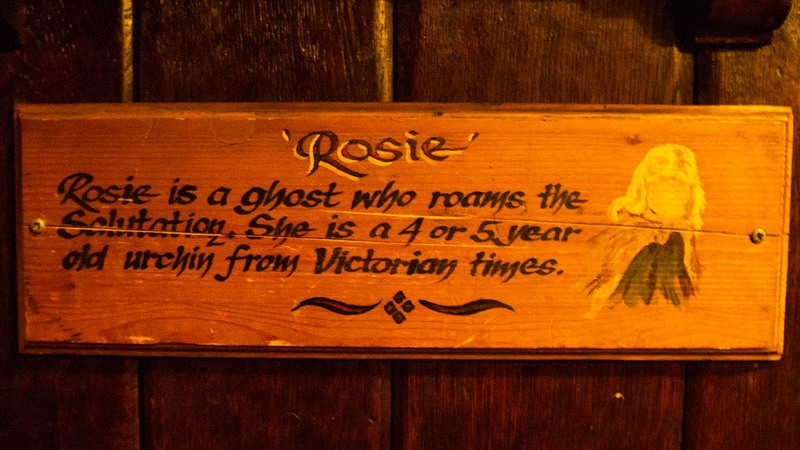 Years ago, they were removed so she began haunting patrons. They were put back. Our new Pub Style Pretzel is the snacking world’s first thin, aged sourdough pretzel. But does it have what it takes to hold its own as a pub snack and truly earn its “pub pretzel” name? 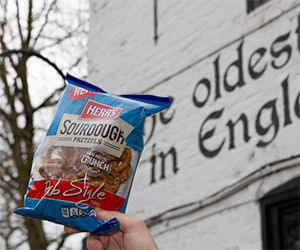 To answer that question, Ed Herr packed his bags — and more than 400 bags of Herr’s Pub Pretzels — and departed from Nottingham, PA, for some of the world’s greatest pubs in Nottingham, England. 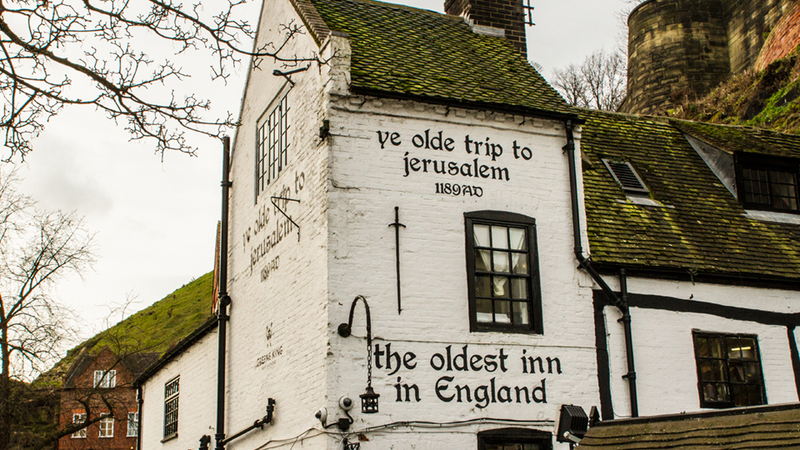 Over the next few months, here on this website and on Herr’s Facebook and Twitter pages, we’ll provide highlights from our trip to the UK — a trip that included stops at iconic watering holes with names like The Old Dog & Partridge and Ye Olde Salutation Inn. While we were there, we met two retired miners, a trio of rabid football fans (that’s soccer to those of us in the U.S. of A.) and two crafty British women who could turn pretzels into a seriously addictive pub game. 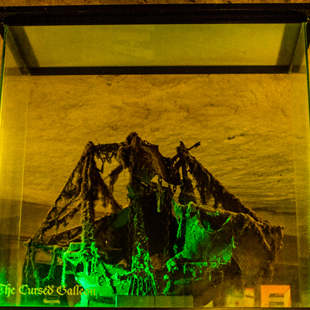 We got a chilling tour of the haunted caves under one of England’s oldest pubs. We learned words and phrases that we’d never heard before (but are itching to use again soon). We’ll tell those stories — and many more, starting with the video below — all while giving away some pretty sweet (or, should we say, salty?) prizes. Over on our Facebook and Twitter pages, we’ll be giving away scores of Pub Style Pretzel prize packs and a grand prize of a year’s supply of Pub Style Pretzels. So grab your mates, and lace up your trainers, because the next few months are going to be crackin’ good! Brits know pubs and British pub grub, but what do they think about the sourdough in our new Pub Style Pretzels?